Qdoba Mexican Grill®, known for its wide variety of handcrafted, fresh and innovative Mexican cuisine, is encouraging its guests to share the love again this February 14th with the return of its popular BOGO for a Kiss Valentine’s Day promotion. 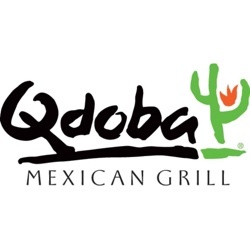 Qdoba guests who purchase one entrée at any participating Qdoba restaurant on Valentine’s Day and then share a kiss with a significant other, friend, family member or even an understanding stranger at the cash register will receive a second entrée of equal or lesser value for free. 0 Response to "Qdoba: I Will Kiss A Stranger For A Burrito - 2/14"